How does Websense Work and What is Websense ? 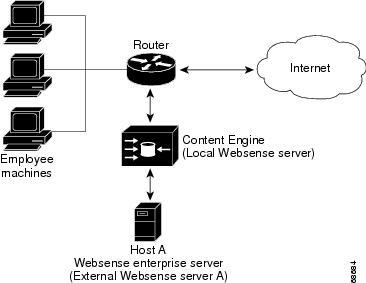 In this Post we will talk about Websense Server and Its Working . As we all know that websense Filtering is used for Filtering Websites , Contents , Files , Downloads etc from the Internet . Today , Almost all the companies use Websense or some other product of its Category to Filter Web Traffic . The tools become all the more handy to provide different kind of Inter Access Rights to a different set of users . Let us consider an Example , Let us say that your organization has 200 Users . 10 Users are from HR Department . Now , as a System Admin you are being asked to set up the system in such a way that only HR users can have access to Job Portals and No other user can access and Job portal . This is where Websense as a Tool becomes handy . You can use Websense Filtering Categories to create rules so that only HR people can access Job Portals . With Websense you may also pull reports and see which user has accessed blocked websites , you can create Email alerts when a specific users uses a specific website n number of times . Your Local Websense Server is Connected to the Enterprise Websense Server and it gets live feeds from the Enterprise server to keep it self updated with the changes that have been made at the External Websense Centralized server . Your Users when they access Internet , All their requests pass through Websense and websense through its filtering criteria checks if this particular user has access to this website or not . Basis this you are allowed to access the website .